Popularly called as “Black Pagoda” & it’s an ancient “Sun Temple” situated on the banks of Chandabhaga sea beach on bay of bengal in the state of Odisha in India 🇮🇳 . 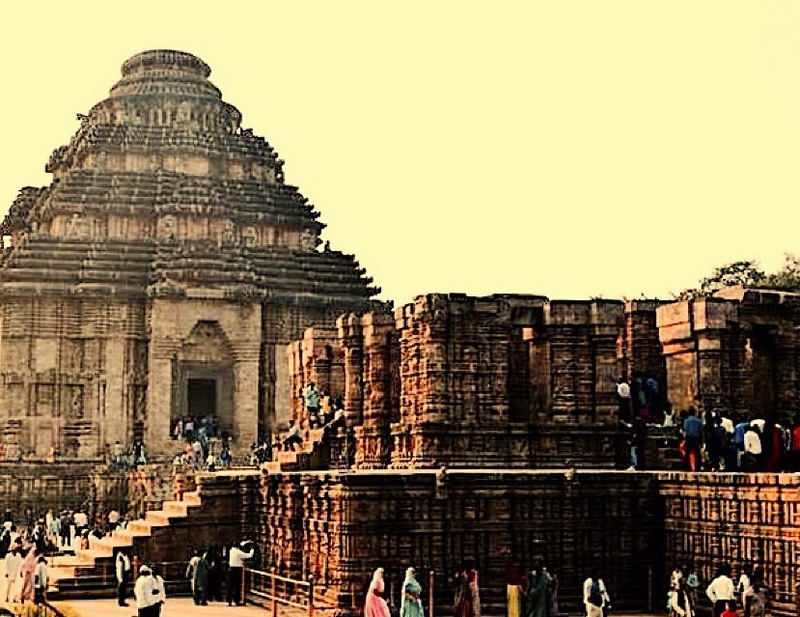 ‘‘Konark Sun Temple”or”କୋଣାର୍କ ସୂର୍ଯ୍ୟ ମନ୍ଦିର”is a 13th-century CE Surya|Sun Temple at Konark in Orissa, India. It is believed that the temple was built by king Narasinghdeb of Eastern Ganga Dynasty. The temple complex is in the shape of a gigantic chariot, having elaborately carved stone wheels, pillars and walls.A major part of the structure is now in ruins. The temple is a UNESCO World Heritage Site and has also featured on Seven Wonders of India|various list of Seven Wonders of India. The temple is 35km from Puri and 65 km from Bhubaneswar. People from All over the world come to visit this site.